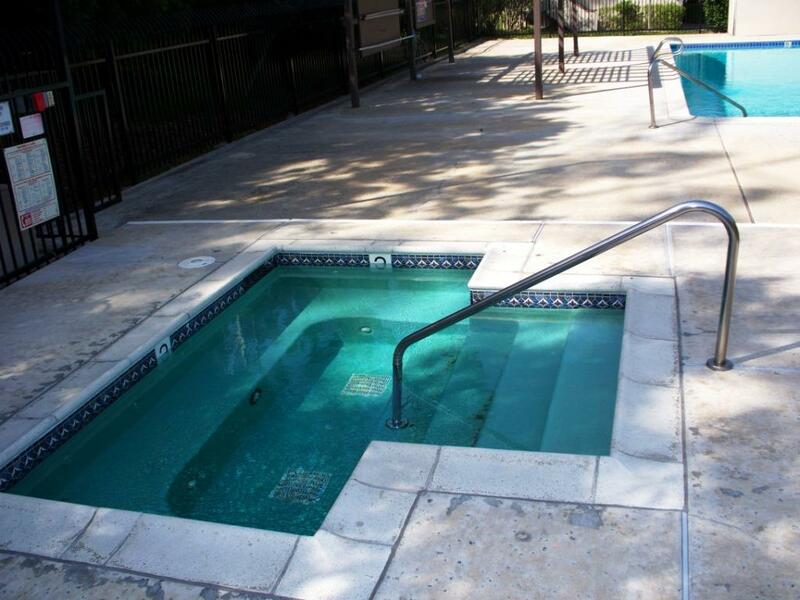 Large Fenced in Pool and Jacuzzi area features a large Pool with depths ranging from 3 feet to 8 feet and long enough for doing laps. 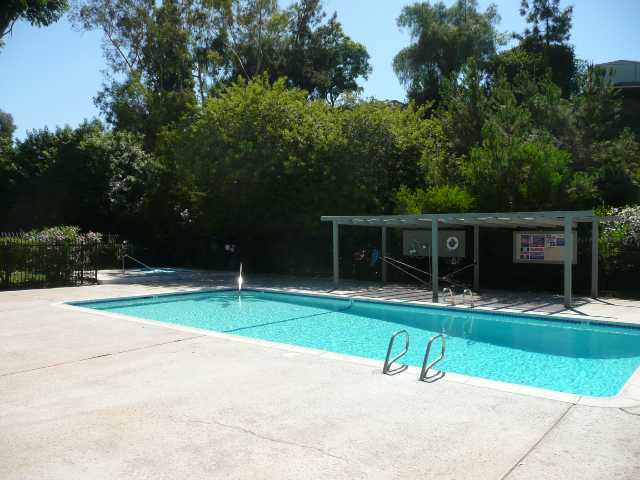 The Pool area is surrounded by tall trees and shrubs for privacy. 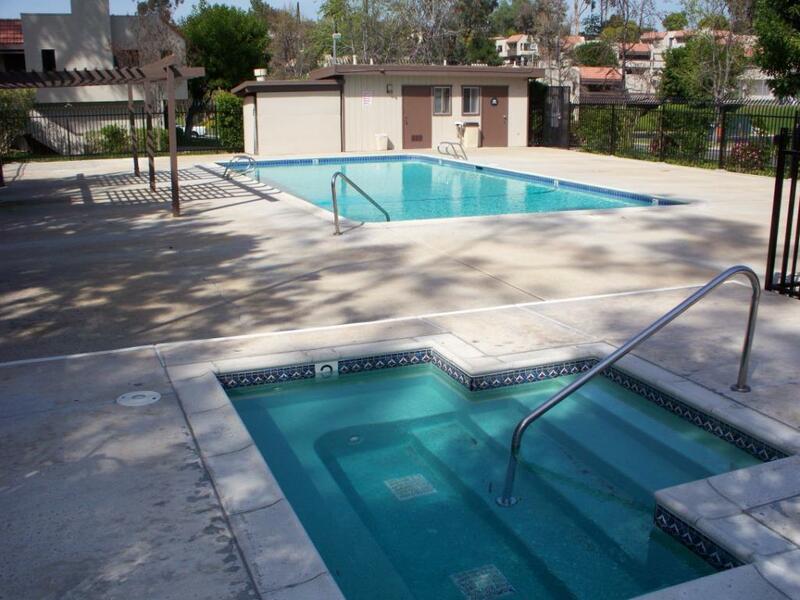 The Pool Area is cleaned year round and has a well maintained Bathroom and Shower for your convenience. View of Jacuzzi with Pool and Bathroom in background. 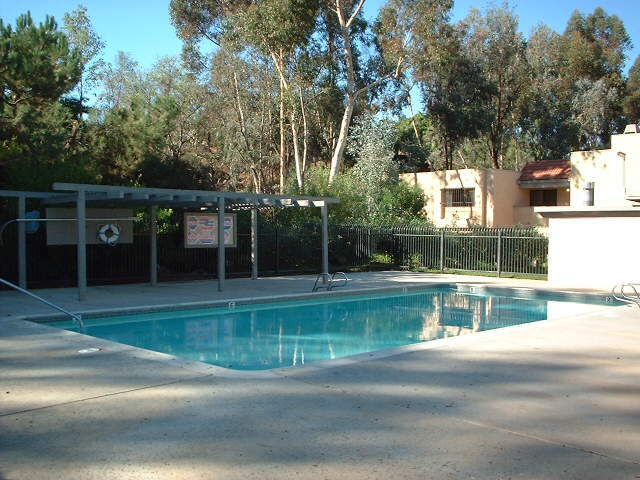 Inside the fenced area you can enjoy sitting by the pool in the sun or shaded awning.